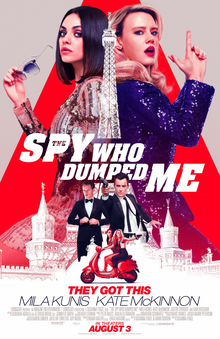 Home›Movie Reviews›The Spy Who Dumped Me - It's a Mess... But it's Hilarious! The Spy Who Dumped Me is directed by Susanna Fogel. The film stars Mila Kunis, Kate McKinnon, Sam Heughan, Justin Theroux, Gillian Anderson, Paul Reiser, and Jane Curtin. Audrey and Morgan have been best friends for years. When Audrey’s boyfriend dumps her, she’s initially apprehensive towards him, but discovers the reason he left is because he’s a spy on a secret mission! When he’s compromised, it’s up to the girls to team up to take a hidden object to Vienna and turn it in to a contact of his. But upon their arrival in Europe, they become targets of multiple organizations and countless armed villains, all of whom want the object for their own purposes. Will the lifelong friends succeed, or find themselves gunned down overseas? The Spy Who Dumped Me is needlessly violent for its comedic nature, and the writing of the film is an absolute mess, with a plot which makes very little sense and a needless array of side characters whose allegiances seem to keep changing. But the comedic chemistry between McKinnon and Kunis keeps the laughs coming despite this. They basically are the movie, even when all other elements falter, and their performances earn this one a modest recommendation. Let’s get the bad news out of the way first - it’s a sloppy movie. The plot basically exists for the purposes of putting our funny heroines into unspeakable situations, often with hilarious results, but the writing is such a mess that anyone actually attempting to keep up with the plot, characters, and the goings on will find their heads spinning. The level of violence is staggering given it’s a comedy; it’s what you’d expect to see in a “serious” film. At nearly two hours in length, the movie's way too long. Attempts to include flashbacks to flesh out Audrey and Drew’s relationship are awkward and slow the movie to a halt. Many of the funniest personae in the film, namely Morgan’s parents, played by Paul Reiser and Jane Curtin, are sadly cast to the sidelines for most of the movie. Fortunately, Kunis and McKinnon are a delight to watch despite the movie’s sloppy writing and other flaws. These two have undeniable chemistry, and play off each other throughout the nearly two-hour run time. There are some brilliant moments and one-liners which would’ve floundered in the hands of lesser comedic talents. These two ARE the movie. It’s tough to go into details without spoilers, but even if you notice the movie’s flaws, you won’t be able to hold back your laughter for long. 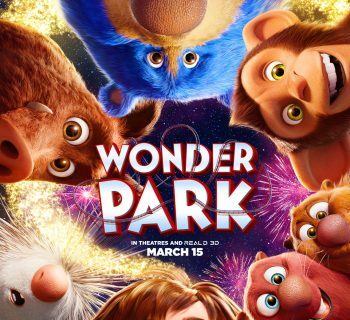 DISCLAIMER: Images in the review are the property of their respective owners, including Imagine Entertainment and Lionsgate. For promotional use only. All rights reserved. 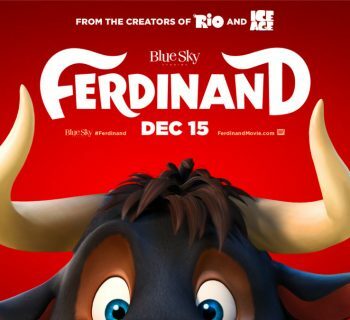 Ferdinand - Is the Latest From Blue Sky Studios a Cash Cow, or a Load of Bull? Thanks again for the kind words! The movie’s got some issues, but I assure you, you’ll laugh plenty! Beautiful Boy - The Battle Against Addiction on the Big Screen!